Emaar Hospitality Group presented industry-first projects including ‘Expo 2020 Hotel of the Future’ at the ongoing Hitec Dubai 2018, a major hospitality technology show in Dubai, UAE. Hitec Dubai 2018, the Middle East’s largest hospitality technology exhibition and conference, is endorsed by Corporation for Tourism and Commerce Marketing (DCTCM). Co-produced by Hospitality Financial and Technology Professionals (HFTP) and Naseba, this year’s expo, which is taking place at the Madinat Jumeirah Dubai on December 5 and 6, is showcasing innovative solutions from the world’s leading hospitality technology providers. 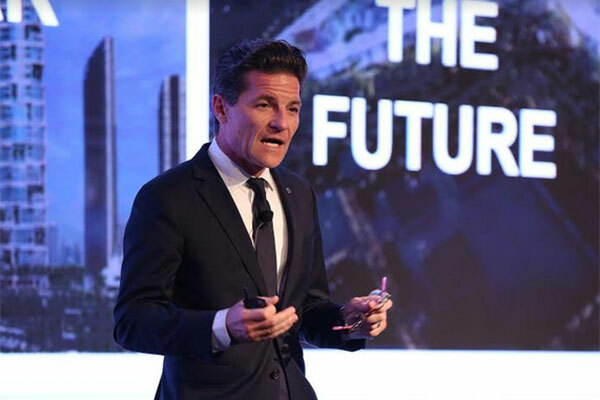 Speaking at the Hitec conference, Olivier Harnisch, CEO of Emaar Hospitality Group, said: “Emaar Hospitality Group has paved the way for creating an innovative hospitality landscape in Dubai, offering a range of experiences, from luxury to contemporary midscale.